The Burritts Rapids Renewable Energy Association (BRREA) was incorporated as a community, non-profit organisation in 2010 following a community meeting on January 5, 2010 and with support from the Burritts Rapids Community Association. The Board is made up of volunteers who live in the Burritts Rapids community. BRREA's focus is on the development of a small hydro project, generating energy from the Rideau River water flow at the dam site upstream from the village, and using all income (after covering costs) to fund community projects and initiatives. David Simpson has been our Chair for three years now and has done an exceptional job leading BRREA. David has decided it's time to pass the torch on to a new executive. The Board of Directors has met on-line and agreed that Bob Walker will take over as Chair, Bob Gaudette will stay on as Treasurer and Drew Avis will take over from Bob as our new Secretary. David has agreed to stay on the Board at least until next year's Annual General Meeting. A huge thank you to David for his exceptional leadership as our Chair, and best wishes and good luck to the new Board. We had about 30 people attend our Annual General Meeting at the Burritts Rapids Community Hall. The meeting started off with 'Welcome, Introductions and Apologies', the 'Review of Agenda' and the 'Approval of Last Year's AGM Minutes'. We had a great talk by Bill Touzel, Vice-Chair of the Ontario Waterpower Association, on "The Future of Small Hydro Projects in Ontario", followed by some discussion and Q&A. The Ontario Waterpower Association intends to engage the new Ontario government in a discussion of ideas that can help achieve the government's stated goals. Bill is guardedly optimistic about the future of waterpower in Ontario. It was noted that the OWA commissioned a robust opinion poll of Ontario residents last winter, and the result is that waterpower enjoys very strong support amongst the public, regardless of where in the province we live, and regardless of our political leanings. The facts that waterpower is 'home grown', creates jobs, and has been embedded in our communities and contributing to Ontario's growth for many decades are the underlying factors driving this public support. While Ontario currently has a surplus of electricity, due to a number of factors that surplus will turn to a shortage by 2024. This will be driven by the scheduled shutdown in 2024 of the Pickering Nuclear Station. Given the long lead times for developing replacement capacity (whether through new 24/7/365 Ontario-based generating capacity, expanded grid capacity to bring in power from Quebec or Manitoba, etc. ), the government is going to have to address this in the near future. It seems clear from what the government has said so far that it is not currently in favour of the further expansion of weather dependent and therefore less reliable sources of renewable energy like solar and wind. It was also pointed out that, in retrospect, none of the major developments like Niagara Falls or Robert Saunders hydro plants or the Bruce, Pickering or Darlington nuclear stations could be justified by the electricity rates at the time, but were an investment made by the governments of the day in the future. While the development costs are paid off in 2 or 3 decades, waterpower generating stations have typical life-spans of 100+ years. If the government wants more private-sector involvement in the generating business, they obviously have to pay rates that allow business to make some level of profit, or they will need to somehow subsidize development, perhaps through some sort of public-private partnership arrangement. The new Ontario government recently announced that they would cancel several hundred renewable energy contracts to save an estimated $790 million. Most of these contracts have a clause that allows the government to cancel the contract before construction begins provided they reimburse the contract holder for any expenses incurred up to that point, up to a limit established in the contract. The major exception to this is the White Pines wind project in Prince Edward County, which was cancelled while already under construction. The new government apparently wants to encourage more community involvement in decision-making, and so community support for development is a critical piece of the puzzle for successful projects. 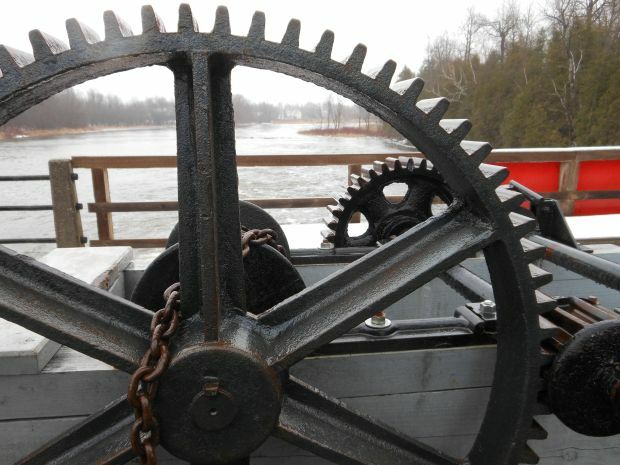 Bill encouraged the members of the BRREA to continue to advocate on behalf of the waterpower potential at Burritt's Rapids with the local community and all levels of government. David Simpson gave the Chair's Annual Report. Bob Walker gave a briefing on the FIT process and why we did not get a contract. Bob Gaudette gave the Annual Financial Report. There was a motion to change BRREA's Financial Year from Calendar Year (January - December) to an April - March Fiscal Year to align with Canada Revenue Agency reporting. The motion was passed. There was a Question and Answer session and discussion. The issues covered centred around what is Burritts Rapids Hydro Inc. (BRHI), why the Municipality of North Grenville was no longer a partner in BRHI, and who were the other partners. We will add additional information on BRHI to the website in the near future. There were three Board of Directors position up for renewal. The three incumbents (Robert Gaudette, Patrick Gonneau and Juri Wallner) indicated they would run again, and since there was no one else who wanted to run the three incumbents were acclaimed. For more information on this go to their website here or read "Energy Evolution: Ottawa's Community Energy Transition Strategy - Phase 1". As a result of working with some great people at the City of Ottawa, BRREA's Community Small Hydro Project is project 4 on the City's "Summary of Short-Term Actions, Energy Evolution: Ottawa's Community Energy Transition Strategy, Phase 1" plan. There is a lot of work to do before we see where this might go, but it gives us an opportunity to possibly move forward with our project instead of just sitting on our hands and waiting to see what the new Ontario government is going to do about renewable energy and any replacement for the FIT program. Parks Canada is working on a project to rehabilitate the earth dams that make up a good part of the Burritts Rapids Island. While this project isn't part of the BRREA Small Hydro Project, it is happening in the same vicinity and the two projects will likely have some effects on each other. To keep our stakeholders informed on the Earth Dam project we have set up an Earth Dam page on our website. We have created a Facebook group at https://www.facebook.com/groups/brrea/ to encourage community discussion around this project. Check out our "Frequently Asked Questions (FAQ)" page, where we answer your questions.